How can Hegel call philosophy a science? At the tail end of Kant and the Critique of Pure Reason Gardner discusses Kant's influence on his successors. He claims---and I'm paraphrasing here---Hegel wanted his metaphysics to be scientific, i.e., to all unfold from a single principle. Kant's work does not descend from a single principle, but instead draws from actual experience to get us, for instance, inner and outer sense, and the specific categories. This rings true. There are certainly a number of times when Kant seems to throw his hands in the air and say that things just are. Hegel's response, quoth Gardner, was to try and make a new system, which would surpass Kant's, and all unfold from a single principle. Is this actually Hegel's definition of a science? I couldn't find anything online that would confirm it. I've only read PR and some of PS; I can't say much about Hegel's metaphysics. But in PR Hegel explicitly states that philosophy is a circle. Of course a circle has no point of origin. 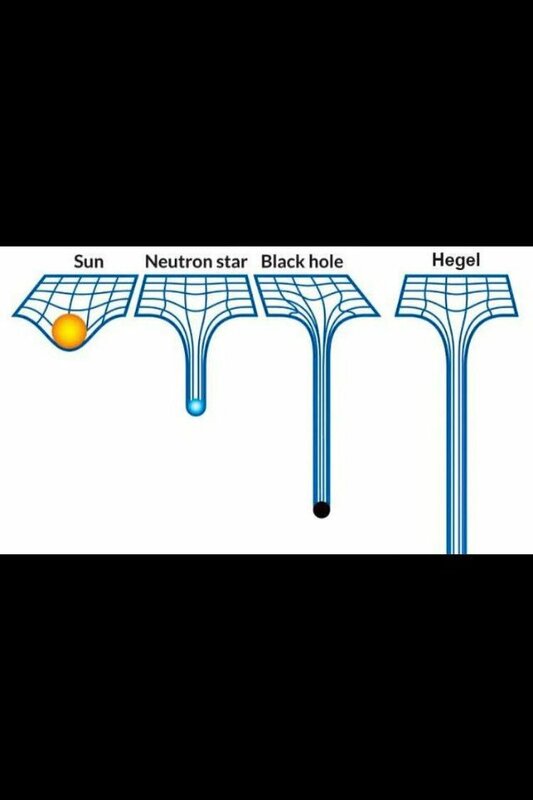 Did Hegel think his system did indeed unfold from a single point? How did he explain this, given the whole "philosophy is a circle" thing? I think (and I broadly agree here with Eckart Förster, whose book The Twenty-Five Years of Philosophy will be quoted here for reference) that Hegel roughly follows Kant's understanding of science. Therefore, clarifying what Kant wrote about science may help to elucidate how this intertwines with the idea of a single principle. Science proper here only consists in the pure part. That is why in his introduction to the Anthropology, he dismisses psychology as not being a science proper in any way, missing this pure part. Förster has some four chapters on that, and I cannot refer to all the content discussed. The main core points of Kant prevailed, and it had been a major criticism that he presented several principles (for each faculty of knowledge one), trying to show how these can stand side by side without contradiction. Most critics argued that there has to be a single, unifying principle. Basically, the idea why a systematic Wissenschaft has to be derived from a single principle is easy: Say we have two a priori certain principles, to take the easiest case. Now, if we want to apply them, they are either materially identical (single principle), or we will have to decide which principle is to be applied. For deciding that, we would need to have a third principle, which would need a justification of its own. The main idea of this dilemma can be found in my answer here as well. For Fichte characterized his philosophy, which he now referred to as Wissenschaftslehre, as the discipline which philosophically grounds the possibility of every other science. Since every science must have a systematic form, and since such form can only be derived from a first principle, the Wissenschaftslehre must at the same time establish principles for every other science. Those principles must, if they are truly to be principles, be incapable of further proof: “All those propositions which serve as first principles of the various particular sciences are, at the same time, propositions indigenous to the Wissenschaftslehre. Thus one and the same proposition has to be considered from two points of view” (GA I,2:128; W 1:56) (Förster, 2012:175). This "one and the same proposition" was A=A, the proposition of identity. This has led to criticism by e.g. Hölderlin, who was highly influential on Hegel, his former fellow student in Tübingen and very good friend (they met 1797 in Heidelberg and discussed these things a lot). The understanding of what it means to be Wissenschaft, i.e. something that through its methods literally translated creates knowledge [Wissen = knowledge; schaffen = to create], had been quite different. Hume's skepticism led to the understanding that all phenomenal, empirical data is not reliable enough to constitute knowledge in this very peculiar sense. And what Hegel thought to have accomplished is to present a method that, through its application, is able to get rid of empirical illusions, leading to an understanding of how reality actually is, i.e. to knowledge. Therefore, in this sense, it is Wissenschaft. And it is Wissenschaft der Logik as the knowledge is gained through a very specific methodology he calls logic, although this may differ a lot from contemporary understandings. Long story short: If terms in historical philosophy do not make any sense, try to look up their historical and, in philosophy, often times technical meaning. In Wissenschaft der Logik (variously translated as The Science of Logic or The Acquirement of Logic) Hegel states that his dialectical method is "the only true method" of scholarly and scientific exposition. Hegel believes these characteristics make his dialectical method genuinely scientific. As he says, “the dialectical constitutes the moving soul of scientific progression” (EL Remark to §81). He acknowledges that a description of the method can be more or less complete and detailed, but because the method or progression is driven only by the subject matter itself, this dialectical method is the “only true method” (SL-M 54; SL-dG 33). Later philosophers have characterised Hegel's method as the thesis, antithesis, synthesis triad. It is this method that Hegel used to develop his philosophical theories. I think he said (or meant) 'a science of logic'. I share his view that metaphysics is a science of logic but this is a slightly different use of 'science' than some people would accept. The point being that it is in a sense empirical. For instance, where a theory gives rise to contradictions this is verifiable by inter-subjective analysis and is not a matter of opinion. I'd also agree that metaphysics should start from a single point, the initial axiom-set, but wouldn't see this as making it scientific so much as just systematic. As the world would be a product of Mind its own logic would determine the shape of its evolution and so the dialectic would be the correct way to backwards-engineer it. His Absolute Idealism is therefore in line with the perennial philosophy since it rests on an axiom that is prior to the dialectic and gives rise to it, just as it would give rise to the world. It would be this prior 'phenomenon' that Kant says we cannot know and Hegel says we can. So where Kant's view is a little unscientific since it rests on an non-empirical foundation, Hegel makes no appeal to the unknown. In his book Mind of God the physicist Paul Davies discusses the idea that we can know the universe in its entirety and concludes it may be possible for the esoteric practitioner, implying an endorsement of Hegel rather than Kant, and it does seem a more 'scientific' approach. The point about circles may be (I'm speculating) that when we unpack our axiom-set and develop its implications we should end-up back where we started. For instance, our first assumption has to be the reasonableness of the universe and if we develop a successful theory then we will end-up justifying this axiom. He may also mean that our metaphysical investigations always begin and end with ourselves and our own nature. Quibbles about language aside, I feel that Hegel is correct to say that approached properly metaphysics is a science. Far too many philosophers see it as a matter of opinion and conjecture and almost all scientists. The result is not progress but a discipline in utter confusion. Hegel's own term is Wissenschaft, which is conventionally translated as 'science' even though 'science' now has misleading associations. It is perfectly all right to say that Wissenschaft means 'science' (for convenience) even though (more precisely understood) it doesn't. Not the answer you're looking for? Browse other questions tagged metaphysics kant hegel or ask your own question. Is it possible to know anything with certainty? How did Kant define knowledge? How can categories be derived deductively? How does Hegel define material, living and thought beings? “Prolegomena to Any Future Metaphysics” - any future metaphysics except Kant's? Is Kant an anarchist/libertarian while defending that the resistance to a resistance is legitimate by the same law?